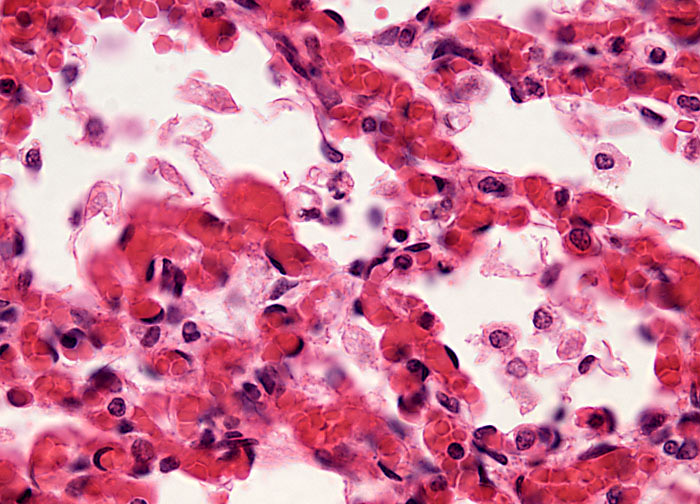 Treatment for pneumonia generally depends upon the invading organism or other cause of the illness, although in some cases the exact agent is never identified. Antibiotics are effective against many bacterial forms of pneumonia and their discovery was key in reducing the number of deaths caused by the illness in the United States, pneumonia dropping from the leading cause of death in the country in the early twentieth century to the sixth most common cause of death today. Viral pneumonias, however, do not respond to antibiotics and few antiviral drugs are available to treat them. Thus, individuals with viral pneumonia are often forced to just let the illness run its course. They can decrease bodily strain and experience some symptomatic relief, however, through bed rest, use of a humidifier, and increased fluid intake. In some instances, administration of oxygen or hospitalization may be necessary.